Ideal for bare floors and high spaces. Engineered to achieve professional-quality cleaning, these canister vacuums feature sophisticated cleaning comfort for your furniture and floors. 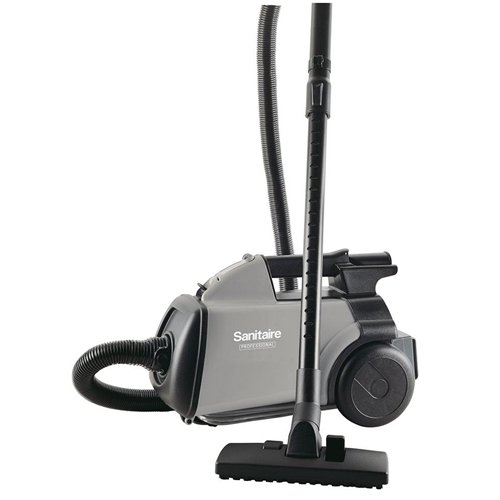 Plus, they’re compact design and versatility increases your cleaning capabilities. Equipped with ARM & HAMMER odor eliminating capabilities, this highly featured vacuum offers a unique combination by capturing allergen sized dust particles while eliminating odors caused by mold and bacteria, leaving the room smelling fresh and clean. Call on this multi-use canister for bare floors, low pile carpeting, and above the floor cleaning. Dust Capacity 2. 6 dry qts. MSRP $249.99 but you get to pay less.